Remember when you only knew one or two people that had an iPhone? You still had a flip phone, but it worked just fine. Now you can’t imagine life without a smart device. Answers to everything, directions to everywhere, and constant connection. What began as a population of early adopters has become the norm for just about every pocket and purse in the nation. Cloud computing is following a similar pattern when it comes to small business technology. At first security risks, feasibility concerns, and a need to step away from your comfort zone were main detractors for cloud adoption. However, today many of these worries have been put to rest. The cost savings aspect, scalability, and operational efficiency that the cloud provides are proving too enticing for even the smallest businesses. Implementing and leveraging cloud technology is 40 times more cost effective for a small to medium sized business when compared to running its own IT infrastructure. Cloud services offer recovery four times faster for SMB’s versus traditional and on-site data backup and storage methods. 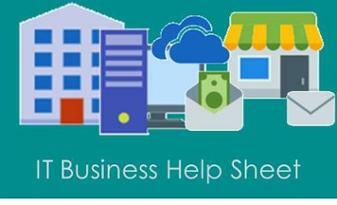 By 2020, 78% of the United States’ small businesses are expected to fully adopt cloud computing. 70% of businesses report that they’ve been able to reinvest capital back into their business based on savings earned by transitioning to the cloud. Significant productivity benefits were reported by 59% of SMB’s after moving to the cloud. While the advantages and applications of cloud platforms will vary between industries and change from business to business, the exponential benefits and essentially non-existent risks are changing organizations of all sizes. Leveraging the power of the cloud for your Baton Rouge business can be easy, especially with a skilled, experienced, certified partner like AtlasOne Technologies. AtlasOne Technologies is a Baton Rouge based managed IT services firm that specializes in data backup, cloud solutions, and business consulting.